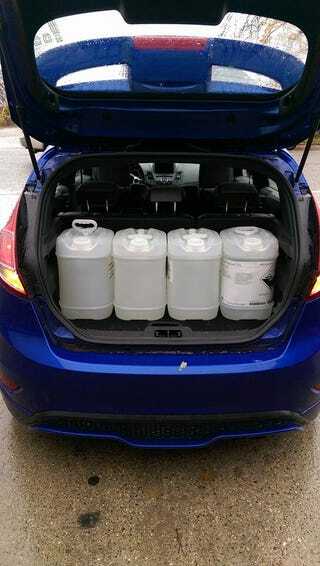 Throwback to the time I carried 20 gallons of phosphoric acid in the back of my Fiesta ST. In the words of our traffic department “That’s gotta be the fastest delivery vehicle we’ve ever loaded up”. ANd the 4x 5 gallon containers fit so snugly and perfectly.....it seemed intentional. Love this car.